Adventure begins with a thought, decision and action. 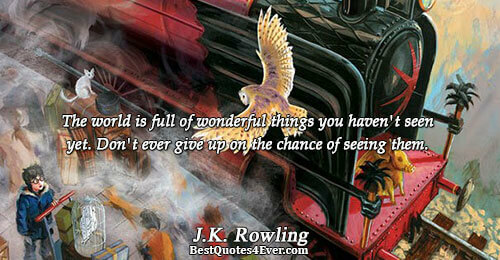 The world is full of wonderful things you haven't seen yet. Don't ever give up on the chance of seeing them. Embrace those parts of yourself that you've skillfully avoided until now. That's your true adventure. Money can take you many places, but imagination can take you anywhere. See it, learn it, do it ALL. Explore often. Only when you will know how small you are and how big the world is. 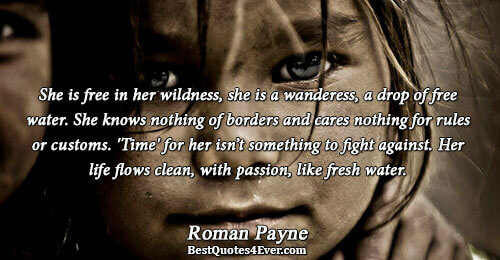 She is free in her wildness, she is a wanderess, a drop of free water. She knows nothing of borders and cares nothing for rules or customs. 'Time' for her isn’t something to fight against. Her life flows clean, with passion, like fresh water. 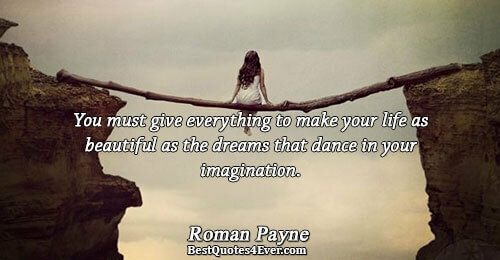 You must give everything to make your life as beautiful as the dreams that dance in your imagination. 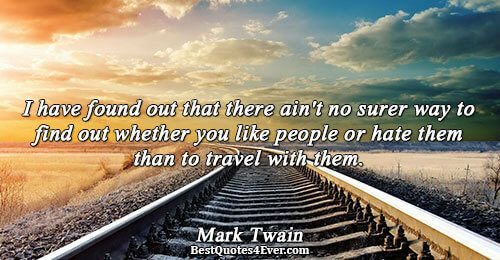 I have found out that there ain't no surer way to find out whether you like people or hate them than to travel with them. I am awfully greedy; I want everything from life. I want to be a woman and to be a man, to have many friends and to have loneliness, to work much and write good books, to travel and enjoy myself, to be selfish and to be unselfish… You see, it is difficult to get all which I want. And then when I do not succeed I get mad with anger. I am not the same having seen the moon shine on the other side of the world. The very basic core of a man's living spirit is his passion for adventure. The joy of life comes from our encounters with new experiences, and hence there is no greater joy than to have an endlessly changing horizon, for each day to have a new and different sun. I was an adventurer, but she was not an adventuress. She was a 'wanderess.' Thus, she didn’t care about money, only experiences - whether they came from wealth or from poverty, it was all the same to her. When she was a child, my love carried a road-map in her hand the way other girls carried handkerchiefs. 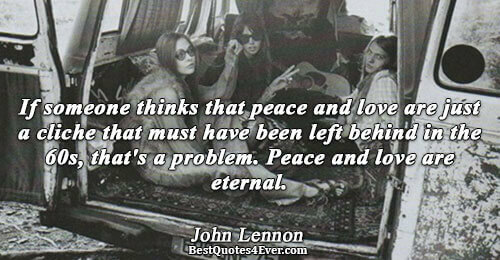 She always knew the way. Her feet were little wings. And her beautiful head was a compass. If you do something that has never been done you will collect treasures that have never been found. Travel Moulds A Man,People Mould His Wisdom And Experiences Mould His LIFE...! She called herself Europa, and wandered the world from girlhood till death. She believed only in her life and in her dreams. She called herself Europa, and her god was Beauty. Simple minded people do things like gossip, lie, spread rumors, and cause troubles. But, I know you're more intelligent. With the need for the self in the time of another / I left my seaport grim and dear / knowing good work could be made / in the state governed by both Hope and Despair.